It takes a moment for Convert-Tune to convert all your media files. 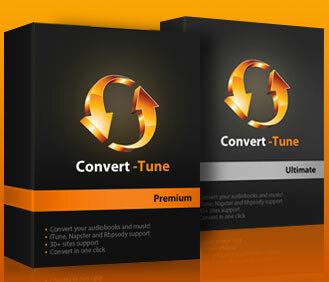 Convert-Tune is professionally doing all the technical work. Now all your audio files can be easily transformed to MP3, M4A (AAC), WMA or WAV in seconds. Convert-Tune will also add ID3 tags for artist, album, title names etc absolutely automatically. Premium and Ultimate editions include FREE CD Ripper to grab audio CD's and FREE CD Burner for burning processed media. 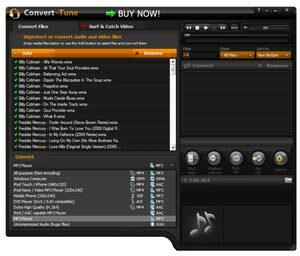 Ultimate edition can convert any video to MP4 (great for iPod), WMV (Windows computer), AVI (great for DVD player) or 3gp (for your cell phone). Installing and using Convert-Tune has never been so transparent. The output settings can be set up according to your quality needs. Huge amounts of files can be processed just like 1 file: drag and drop a folder or use the batch mode. Forget about boring media technical details or hours of conversion; just enjoy any music or video in any format on any device. Convert-Tune is supersonic and really easy to use. Spend your time listening to favorite tracks instead of conversion routine. Convert-Tune has many functions while it's really user-friendly. All the popular output file formats are supported: MP3, MPEG4, CD, iPod, MP3. 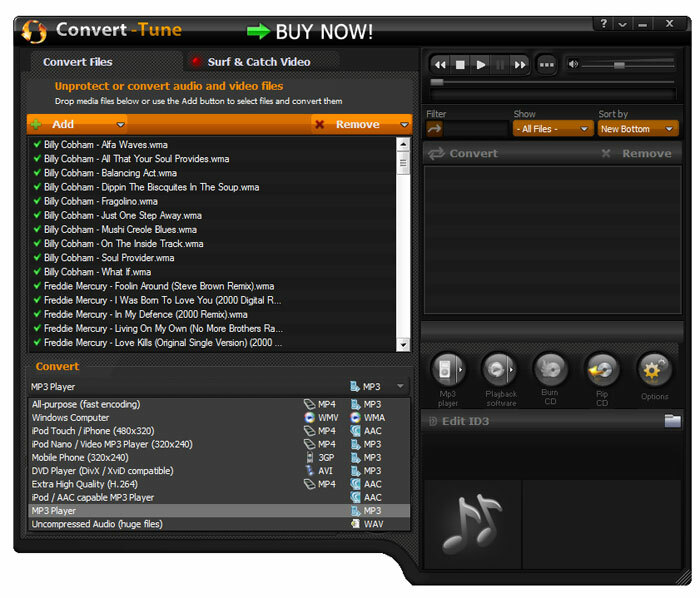 Convert-Tune is able to convert ordered audio and video files from all the popular media stores. You'll be able to enjoy your songs and TV shows from any device: iPod, PC or DVD player. There are many quality and format settings, which will give you unlimited possibilities. Convert-Tune preserves ID3 tags for artist, album, title names etc. Forget about file by file conversion, now you'll be able to use batch mode. the latest version of Convert-Tune! How to distinguish a paid major update from a free minor update? A major program update has a unique first number in the program version numbers assigned, e.g. SoundTaxi 3.4.8 differs from SoundTaxi 4.4.8, because the latter program version is a major update. A minor update version can be recognized by two numbers that follow the first number in the version name, e.g. SoundTaxi 4.4.8 and SoundTaxi 4.4.9 are minor updates, which are available for free to all customers.